Doc Pop presents another episode of his vlog, PopCast, and this one features....me! Which is super weird for me to post but people seem to be digging it so I figured I would share. Enjoy this conversation that Doc and I had at 3 am after being up for 48 hours straight. Doc Pop presents another episode of his vlog, PopCast, and this one features….me! Which is super weird for me to post but people seem to be digging it so I figured I would share. Enjoy this conversation that Doc and I had at 3 am after being up for 48 hours straight. YoYo Emoji Coming This Year! You might remember our article from last year about Doc Pop’s yoyo emoji application being accepted…well it looks like we’re finally going to see it available in September or October! DesignBoom just posted a huge info drop about all 230(!!) new emojis coming to all major platforms in 2019 and we’re thrilled that yoyos are part of this next wave. Congratulations, Doc Pop, and thank you! Doc Pop hopped on a train recently headed up to Eugene, Oregon with the goal of collaborating with the folks at One Drop YoYos to design and produce a new yoyo in 48 hours. Check out the second part of his epic quest to create The Weekender, a new modern responsive yoyo! Doc Pop hopped on a train recently headed up to Eugene, Oregon with the goal of collaborating with the folks at One Drop YoYos to design and produce a new yoyo in 48 hours. 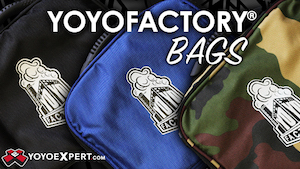 Check out the first part of his epic quest to create a new modern responsive yoyo! Doc Pop hopped on a train recently headed up to Eugene, Oregon with the goal of collaborating with the folks at One Drop YoYos to design and produce a new yoyo in 48 hours. Check out the first part of his epic quest to create The Weekender, a new modern responsive yoyo! Doc Pop sits down with fixed axle evangelist Edward Van Haponik and talks about modern fixed axle play, trick theory, and why he and Drew totally bombed out on Fixed Axle Friday here at YoYoNews (we miss you, come back). Doc Pop sits down with fixed axle evangelist Edward Van Haponik and talks about modern fixed axle play, trick theory, his new Bandalores project with Drew Tetz, and why he and Drew totally bombed out on Fixed Axle Friday here at YoYoNews (we miss you, come back). The inimitable Doc Pop brings us a slew of really fun snap tricks in his latest PopCast yoyo vlog. There is a ton of great stuff in here, and snapping the string is always a fun (if slightly unpredictable) way to get something new happening in the middle of a combo. Enjoy! Doc Pop is back with another Popcast, and in this episode we get the amazing news that his proposal for a yoyo emoji has been ACCEPTED! Highest of fives to you, Doc! Check out the latest from everyone’s favorite mad happy genius yoyo player. 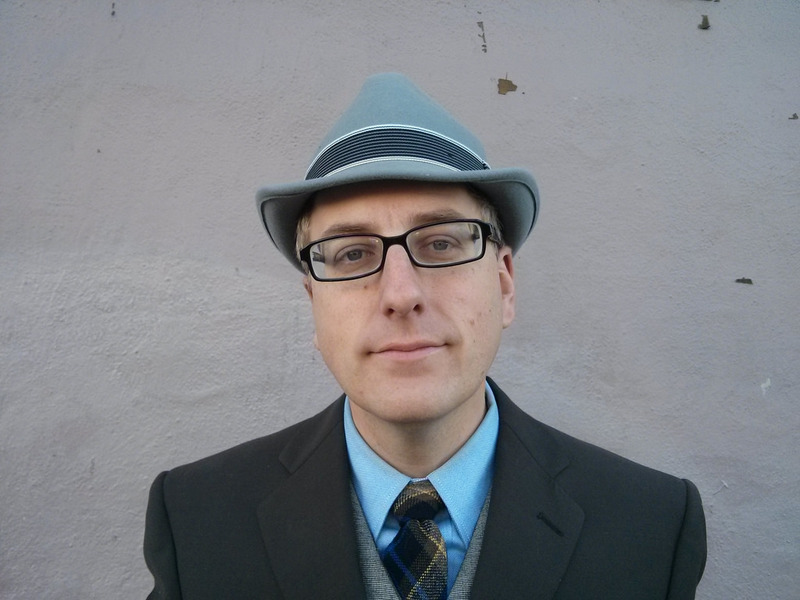 Doctor Popular’s “Popcast” has returned after a 10-year hiatus! The first yoyo vlog is back, and it’s got an unboxing, discussion about friction mounts, puns, and a marginally useful bolt cutter. Neat! Be sure to support Popcast on Patreon if you want to see more! Doc Pop has launched a Kickstarter project to fund production for the Bolt Part 2, the official follow up to his much loved plastic yoyo, the Bolt. Originally manufactured by YoYoJam, the original Bolt was a fun plastic yoyo that was great for beginners and advanced players, and had that extra bit of charm that all of Doc’s projects seem to carry. The Bolt Part 2 looks like it will be another great, fun yoyo and with manufacturing by C3yoyodesign the quality is going to be top notch. Check out the project description below, and then head over to Kickstarter to back the project and guarantee your own! The Original Bolt was a hell of a throw, and was manufactured for over 5 years, with devout fans all over the world. After 12 years, we’ve taken the best of the Bolt design and updated it for modern play. 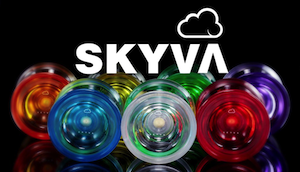 The final design is a collaboration between myself (Doc Pop) and Hadrien Bennaceur (who has designed some of my favorite yo-yos) and will manufactured by the awesome folks at C3 Yo-Yo Design, makers of the Re:Master Galaxy, FingerSpin, and Speedaholic (just to name a few). Big shout out to Hadrien, Walter, and Ron for working on this yo-yo with me. The Bolt Part 2 is made from machined delrin, with aluminum hubs and side caps for better play and longer spins. The caps feature a new “cubby hole” design for horizontal finger spins and delrin body has “schmoove grooves” to reduce string friction. It fits comfortably in your pocket, but still has a nice catch-zone. Most importantly, it still feels fun. Doc Pop and Ernest Kahn have teamed up to produce The Executive, a new pocket yoyo being funded on Kickstarter. The Executive is so small that it fits comfortably in the fifth pocket of your jeans (or pretty much any other pocket you’ve got). Designed and produced in the USA, The Executive is meant to be the perfect everyday carry yoyo. The Executive is being offered exclusively through Kickstarter, and rewards include a t-shirt designed by Paul Escolar, a special colorway of the yoyo available only to backers in the first 24 hours, plus some neat stretch goals. The Kickstarter campaign is officially live, so head over and back the project now! If a yoyoer were to create a list of tricks that included Skin the Gerbil and The Matrix, they may be listing all of the tricks that they learned early in their yoyoing career. Potentially unbeknownst to them, however, they would actually be making a list of tricks invented by the infamous Doctor Popular. Doctor Popular is without a doubt one of the most creative yoyoers ever, with an extremely extensive catalog of awesome things that he’s done both within and outside of yoyoing. The creator of Moebius, Doc has proved his creativity in yoyoing many times over in the 10+ years that he’s been involved in the community. Doc agreed to do an interview, and I was extremely excited to learn more about this interesting yoyoing legend! Doc, in being around the scene for well over a decade you’ve done more interesting things in yoyo than I can summarize in just one paragraph. How did you start playing with yoyos? Thanks! I flew up to Seattle on my 21st birthday and was visiting the Space Needle. I picked up a yo-yo from the gift shop and played with it during the whole trip. When I flew back to Tennessee I happened to bump into a guy who was opening up Nashville’s first yo-yo store that same day. He hired me and I got plenty of (paid) practice time early on. It’s funny to think what would have happened if I had picked up a snow dome as a souvenir instead. Even during the “boom” of the late 90’s you were innovating other things in yoyoing amidst the heavy popularity of competitive 2A freestyles of the time. What was yoyoing like at that time? Yo-yoing was kind of awesome during the boom. I started yo-yoing right after ball bearings were a standard feature, so after learning the hardest tricks in the Split The Atom book, I figured everybody was just supposed to make up their own tricks from there. Making tricks back then was especially easy. I’d do a trick where the yo-yo accidentally came off the string and I all I had to do was figure out how to do it again on purpose. Everything seemed like a new trick. How did you originally become known in the community? When I first went to the National Yo-Yo Contest I believe I was still unheard of, but I could be wrong about that. I didn’t have my own computer and hadn’t yet started making online videos. Luckily the SuperYo guys were filming their Kicking Tricks video and spent a lot of time following me around, maybe because of my bright blue hair. When that video came out, I was heavily featured, along with Chris Neff, Steve Brown, David Capurro, and others. That’s probably how a lot of the community first saw my stuff. A blue haired nerd that calls himself Doctor Popular tends to stick out. For sure, even some of your tricks in that video like Skin the Gerbil and The Matrix stood out, and it’s pretty cool that now they’re both common tricks for players just starting out to learn. What came next for you in yoyoing? I made some awesome friends at Nationals that year, like my pal David Capurro. What a blast. Eventually I moved to Minneapolis and started posting my yo-yo videos online. Mostly just one trick at a time. The next big milestone for me was working with Glasseye on the Experiment #4 video. My friend Josh helped me shoot a bunch of footage in the Mall Of America and around MPLS, which we sent to Glasseye to work his magic on. He created a custom soundtrack and put together a video I still love watching. It was fun and largely inspired by skate videos, which often times would focus on personality as much as they did on tricks. I was about to mention Experiment #4, that’s actually one of my favorite videos although it was done many years before I started yoyoing. I totally know what you mean about skate videos, certain videos from the late 90’s/early 2000’s are my favorites. Another unique style that you invented was referred to as “Paperclip”, right? I hope I’m not totally wrong but I think I’ve seen videos of it on Sector Y. What was the inspiration behind that, and how did it work? At the time, it felt like yo-yoing was full of unexplored areas. Moebius, Washing Machine, and Paperclip where just dabbling around in uncharted territories. “What can do with this end the of the string? That’s neat… What can I do with the other end?” As soon as you identified one new section, a whole bunch would reveal themselves too. Paperclip was really just built around the idea of “what can you do if you intertwine a counterweight with offstring?”. That’s all so true. Ky Zizan has really been bringing that ideology back to the forefront with his Double Dragon style, which uses one yoyo with two strings. Moebius is one other style that you invented which has maintained a somewhat underground following in the yoyo community for many years with yoyoers like Zammy staying dedicated to it. If you had to pick, what’s your favorite Moebius trick? I have a few Moebius tricks I really dig, but one of my favorite moves is actually Zammy’s. It’s a beautiful little repeater called Un-Ending that was in his Infinitum video. So good! You’ve been involved in so many great things over the years, both in and out of yoyo. If you had to pick, what’s your favorite thing you’ve done in yoyoing? There was a bunch of small things that I had a hand in (beefcake mods, tutorial vids, yo-yo cases), but I personally am most proud the Moebius thing. It never really caught on, and probably never will, but I still love the style and play Moebius about as much as I play Single A or Freehand. If I only had one dent in yo-yoing, I’d love it to be Moebius. I totally agree with you there. Another thing that comes to mind for me that you were involved in is the YoYoJam Bolt collaboration, what’s the story behind that? I loved working with the YYJ folks on doing my own yo-yo. Just having a yo-yo that I could be proud of and sell for so cheap was a huge win for me. It also gave me a chance to do things the way I wanted to. They kept making a lot of requests, but ultimately allowed me to do the colors/shapes/styles I wanted. 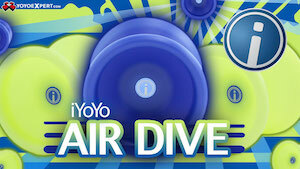 Aside from yoyoing, you’ve literally been involved in SO many different, awesome projects throughout the years. Most recently, I know you released an album of your music that can actually be played on a Gameboy Advance. Can you share anything about that? Making music has been my longest hobby, it’s even what got me up to Seattle that time I bought my first yo-yo. 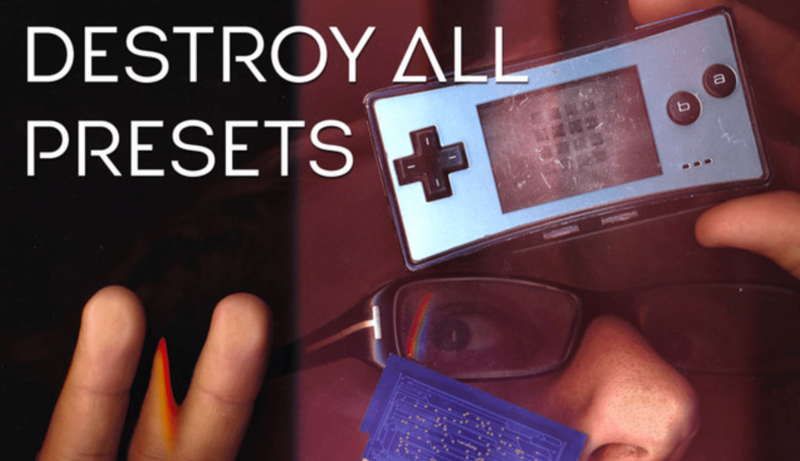 I just released a new album called Destroy All Presets that was made using a Nanoloop music cart on a Game Boy Advance. My album before that was made using iOS apps on my iPhone. I like making “micro music”, or basically music on tiny devices, because it’s portable. It’s really similar to yo-yoing actually. Whenever I’m in line somewhere or waiting for a bus, I just pull out my Game Boy and work on a track. I love the sounds of these things, but really it’s all about the portability and ease of getting in and out of. I’m really proud of this new album by the way, it’s nerdy and catchy and just plain neat. That’s really awesome, I’ve never heard of anything like that but I’ll definitely have to check it out. I think it’s great that you were able to fund it via Kickstarter too. Another project you have is your photography zine, American Analog. I’m a huge fan of zines, and have been messing around with making my own for a while. How did you get the idea for that? I think it’s a really well put together project. Thanks! I guess the common thread between most of my hobbies is portability. I get bored easily and have a mind that frequently wanders. So it’s great to have a hobby that you can carry with you anywhere. I got started in photography just with shooting on an iPhone. I still like that, but I’ve since jumped into the world of film photography. My favorite cameras are pocket sized and I always have one with me. It’s really fun to just wander through a city and capture little moments. After my first year of shooting film, I thought it would be great to put it all together in a little zine called American Analog (named after one of my favorite bands). So far I’ve put out two issues and I’m working on my third. Along with the traditional street photography stuff, I still like to mess around with glitch art and digital experimentation. In a few weeks, I’ll be doing a show in SF that is a mash up of film photography and glitch art. That sounds great, I think it’s good for you to do what you want while also having your name attached to so many great things in the process. Aside from American Analog #3, what else can we expect to see from you in the future? I’m planning on doing a lot more projects this year, including a few more crowdfunding projects. Possibly even something yo-yo related. If folks want to follow that, they can sign up for the mailing list on http://canwekick.it/ (which should be live and fully ready soon). I have a yo-yo project in mind that could be really fun… but I’m keeping quiet about that for now. That so great. It’s awesome that you’re always coming out with something new. Lastly, what’s any advice you could share for any aspiring yoyoer/creative person out there? Be consistent. Don’t sit around waiting for a spark to hit you, instead create a regular habit of being productive. For me, it’s each weekday morning… I grab a cup of coffee and sit and make things for two hours. What sort of stuff isn’t important, it’s about the ritual an teaching yourself to be creative on demand. Once you build up a routine like this, staying productive is so much easier. I totally agree. Thanks Doc! Experimental and catchy. Melodies with a touch of geekiness. One of my best albums yet. 10 tracks created on a GameBoy Advance, using the Nanoloop cart, plus one nerdy track created an iPhone with the Nanoloop app. Destroy All Presets is available now at docpop.bandcamp.com for as a “pay what you want” download, or on CD for $15. Also, there are only 9 days left to back Doc’s Kickstarter project for a re-mixable version of the album on a custom Game Boy Advance cartridge! The project is fully funded so it’s definitely happening…if you enjoy tinkering, this is a great chance to pick up a cool album and give yourself a chiptune remix project for the new year. Doc Pop Is Getting Married Tonight…And We’re All Invited! Long-time yoyo innovator and performer Doctor Popular and his girlfriend, Christine Clarke, are getting married tonight! And, in true Doc Pop style, the wedding will be in fabulous Las Vegas, and streamed live online. We can’t embed the stream here, so Doc has provided instructions on how to watch. The wedding will take place tonight at 5 PM PST (8 PM EST), so don’t miss it! The screen will say “Establishing Connection ” until the ceremony has started. Refresh the page at the precise wedding time and then the live footage will begin. Congratulations to Doc and Christine! Matt Fernandez just dropped a solid video, filmed at the 2013 Bay Area Classic in San Francisco, California. A great combination of contest and hanging-out footage, this clip really gives you a feel for this amazing event. Featuring David Ung, Anthony Rojas, Harold Owens III, Elliot Jackson, Charles Haycock, Zach Gormley, Doc Pop, Paul Escolar, Palli, Jake Wiens, and Ky Zizan.